Have you noticed? EVERYONE seems to be a coach these days?! The Internet is packed with information to help people become coaches. Anyone can pitch up and start calling him or herself a coach. There are loads of people offering coaching services, but it’s all very one-sided: It’s all about the coach and not about the coachee. There is little information out there about HOW TO BE COACHED effectively or how to get the most from your coaching relationship. There are all kinds of coaches available…Offering programs and packages that will change your life, business or improve your relationships: Life coach, business coach, career coach, mindfulness coach… to name just a few! Think of a word, insert it and I’m sure they’ll be someone out there coaching it! How do you navigate through this minefield to find and work with the best person for you? There are many reasons why people decide to work with a coach. You can’t do it all alone and sometimes we ALL need a little help and support. The important thing is that YOU know WHY you want to work with one. 1. Why do I need a coach? Write down what you are wanting from a coaching relationship. If you’re clear, then you can both understand your needs and if you’re a good match. 2. What is my intention for working with one? You may have different coaches for different goals. One might be helping you with weight loss, the other with your business goals. Set a clear intention. What do you want to Be, Do or Have as a result of working together? 3. How would having a coach help me? How can they help you to succeed? What are you looking for from them? 4. What type of coach am I looking for? Does your prospective coach specialise in the area you’re looking to get coached in? How do they show their expertise? Do they demonstrate their value or are they just interested ‘selling’ themselves? Read what they have written – Check out the quality of their valuable free content. Do you connect with what they are saying? Ask for a free consultation (Some offer a Getting Acquainted call). Check in with your intuition – Does your gut get excited and perhaps a little scared at the prospect of working with them? I go with my intuition as this let’s me know if I feel that they will challenge me into real transformation. 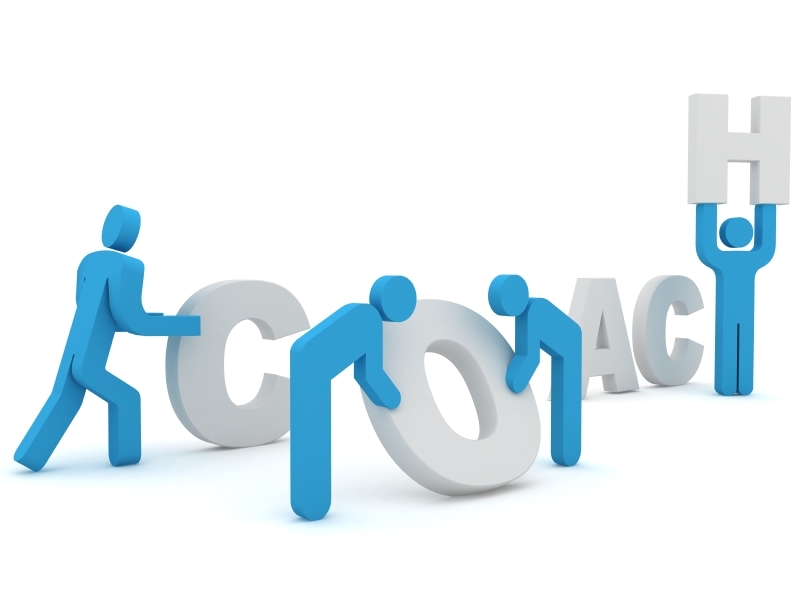 Where to look for a coach – I’d always start by checking out any coaches you know already. Even if they are not the right match they’re often good at recommending other coaches who might be better suited to your needs. a. Personal recommendation – Always a great place to begin. A referral gives you someone’s personal experience. Great coaches get referrals – If you have a good experience you’re going to share it. Ask around for personal recommendations. You can then check the person out for yourself. Read their ‘About Page’ or bio. Do they feel congruent with what you’re looking for? Testimonials – Ask for and read testimonials. Do they feel genuine? Most testimonials have a name, photo and sometimes a website address. Does the website look professional? Does look hand made? Does the coach provide extra value and free content there for you? c. Workshops, speeches and events – Online or ‘live’ here’s a great opportunity to get a feel for your potential coach. You get to build a relationship with them while they are training or talking to you directly. You can get to see them in action! A coach can provide that beacon of light in the darkness, is a lighthouse in the storm, so that you can safely navigate your way through any transition, roadblock or challenge. He or she can help you to become a BIGGER and more successful version of you.